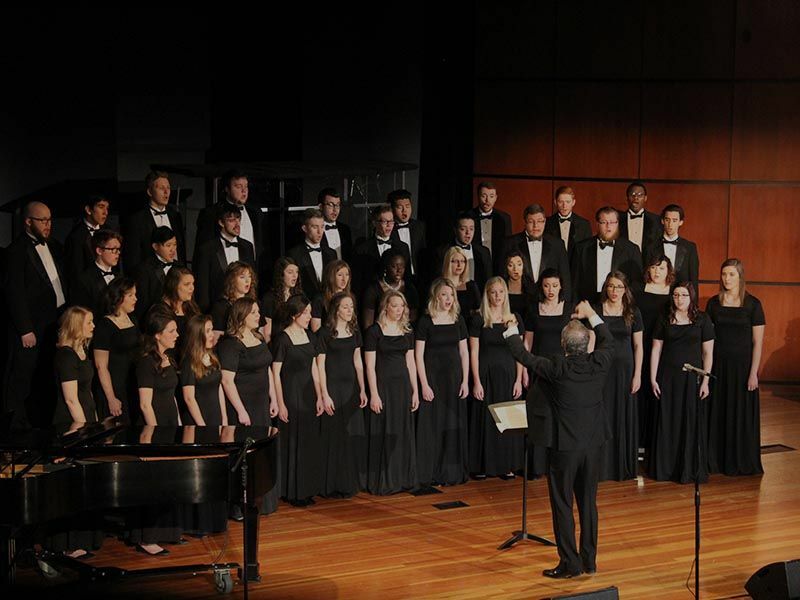 February 26 – The members of the North Central University Chorale will get to check “Sing in Carnegie Hall” off their bucket list next week. The group, under the direction of Larry Bach, M.M., Chorale director and dean of the College of Fine Arts, will sing as a featured choir in a concert presented by the Masterworks Festival Chorus and the New York Chamber Orchestra on Feb. 29 in the famous New York concert hall. “Our concert will reflect our mission to sing sacred music, of styles ranging form Bach to Gospel, with excellence to the glory of God,” said Bach. While in New York, the Chorale will also be singing at Christ Evangelical Lutheran Church in Brooklyn (Sunday) and at St. Paul’s Chapel—a church located at the 9/11 Ground Zero site (Tuesday). “The NCU Chorale represents one of the many excellent opportunities students at NCU have for an outstanding education both inside and outside the classroom,” Bach said. Bach noted that the Chorale has sung on the Carnegie stage in the past, as part of mass chorus in 2011, but this will be their first time as a featured group on stage alone. “This is an excellent honor for us,” he said. More information about the concert is available on the Carnegie Hall website.